The Fall is not a band; it’s punk attitude turned to music. “They are always different, they are always the same,” said noted British radio host John Peel. Always different, partly because Mark E. Smith has been the only consistent member throughout The Fall’s 34-year career, and the same because, regardless of album or decade, The Fall’s songs always follow the same basic structure, with Smith speak/singing, often in seemingly random spurts, over a repetitive hook. Brash and snotty, a first-time listener could easily mistake any one of The Fall’s countless songs as little more than a looped soundtrack for bandleader Mark E. Smith to sneer over. 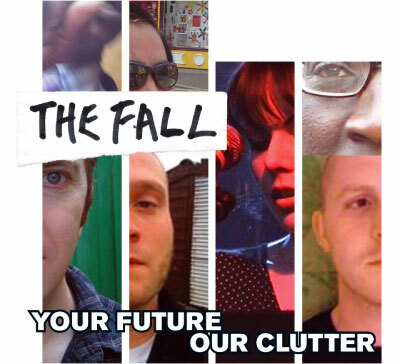 Your Future Our Clutter, The Fall’s 28th studio album, is uncharacteristically concise and fun. It’s also one of their best. Smith, a unrepentant curmudgeon, trades in his sneer for a smirk, making this the Bart Simpson of Fall records. Most of Clutter’s nine songs are built around a rollicking rhythm section, driving toward anti-climax.